Soak in the full bloom of Sakura with cherry blossom snacks air-flown directly from Japan just for you at Kuriya Japanese Market! 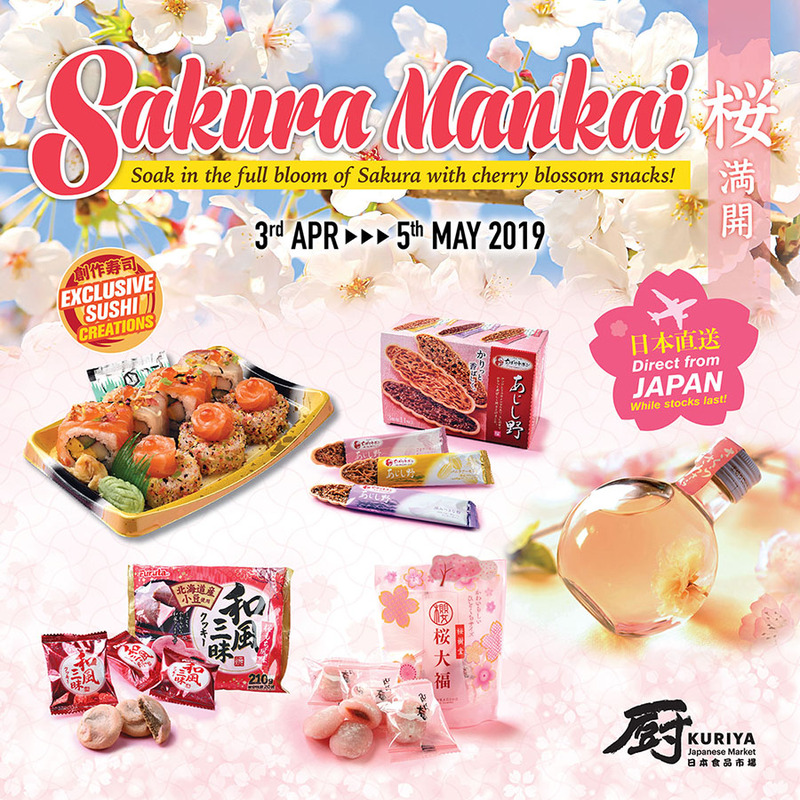 Soak in the full bloom of Sakura 桜満開 with cherry blossom snacks air-flown directly from Japan just for you at Kuriya Japanese Market! With nine uniquely different snacks ranging from the best-selling Sakura mochi to Sakura cookie, tea & sake – all handpicked from Japan, there is definitely something for everyone to be part of this cherry blossom season.Other than the retail snacks, do not forget the exclusive cherry blossom-inspired sushi creations that would complete your Sakura shopping experience perfectly.